The SICLOPE (Sistema Integrado de Controle de Operações meaning Integrated System of Control of Operations) was developed in a modular way in order to meet the needs of our customers in the most optimal way possible. The solution was designed to guarantee information available, problem knowledge, speed and assertiveness for decision-making and management of business risks, labor and environmental areas, focusing on strengthening the preventive culture and legal compliance. The result is the reduction of the quantitative time and consequently, the increase of the qualitative time. The SICLOPE unites all quantitative information and changes to qualitative in order to promote involvement and analysis of HSEQ management across the enterprise, turning the technical knowledge into a simplified and available management language for all. ERPLAN is a leading company that uses the most modern technology to ensure its customers safety of their data. Click here to see our whole strategy for scalability and information security. With the pluralization of technology, the development of multiple simultaneous actions inside companies is practically a prerequisite. But how can we make an effective management of so much going on at the same time? Our Plans and Actions module was carefully designed to manage actions and demands with its usability designed to make tasks simple and with a high level of effectiveness and efficiency, in line with a performance and intelligence, capable of providing real-time statistical analysis and information quality that guarantee a solid basis for decision-making. This module works online, ensuring that information is ready to be viewed in operational and managerial format, providing through a BI (business intelligence) three distinct views: local, regional and corporate. It allows direct interaction between employees, customers and suppliers, providing a real-time view into each selected profile. 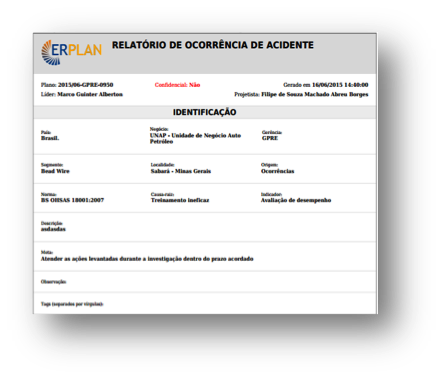 This module will allow you to manage all accidents/incidents and their plans, actions, reports and indicators, providing in the information input a filter, so that each user can see only what is necessary and relevant according to his profile. The event management already works online, ensuring that the information is ready to be viewed in operational and managerial format, providing through a BI (business intelligence) three distinct views: local, regional and corporate. It allows direct interaction between employees, customers and suppliers, providing a real-time view into each selected profile. When a case is registered, you can view the indicators filtered by type, function, body part, work time and others, besides the management of all actions and evidences needed for legal assistance and information dissemination among the information teams prepared for risk control. Qualitative time increase and quantitative time reduction. The Dangers and Risks module was designed for those who want to take and/or maintain the ISO 18000 certification, which are minimum requirements for the construction of an OH&S management system (Occupational Safety and Health). The module controls the actions necessary to maintain certification and generates a final PDF document, versioned and auditable, available in a simple way for all system users. Email alerts when data updates occur. The module of Environmental Aspects and Impacts is for those who want to take and/or maintain ISO 14000 certification, which are a series of developed standards that established guidelines on the environmental management area. The module controls the actions necessary to maintain certification and generates a final PDF document, versioned and auditable, available in a simple way to all system users. To the Licenses and Determinants module competes the control and license management, licensing procedures, legal documentation, permits and all its conditions as well as digital archiving and BI (Business Intelligence) management with the local, regional and corporate views. This module gives managers and technicians greater assertiveness and speed, not only in locating evidence and compliance with legal deadlines but also maintenance management and renewal of existing licenses, with intelligent alerts on the deadlines and processes involved. The environmental monitoring module promotes a constant analysis of the constraints linked to environmental permits in all its phases, from its request to its implementation and monitoring. Internal or external staff can carry out the management of licenses and conditions, as well as its parameterization. In the case of companies that outsource this monitoring service, they would make use of the system through version developed exclusively for this type of operation. The module also provides a Business Intelligence (BI) for real-time monitoring of the progress of conditions, as well as their actions/measurements, generating risk alerts regarding non-conformities, non-compliances with deadlines, etc. The behaviors and deviations management module will register the behavioral verification check of your company and your team. 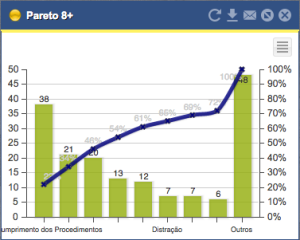 By registering the daily surveys of behavior, the SICLOPE will translate it immediately into indicators, supporting the decision making management regarding prevention or health protection, safety and the environment, translating the QUANTITATIVE time of collection, registration, indicators generation, report preparation, submission to the pertinent areas and/or managements into one: GROUP. From this point then, QUALITATIVE analysis is provided automatically by SICLOPE. The Inspection and Audits module combines technology and management for effective operational control inspections in the security process, health, environment and the IMS (Integrated Management System), through accessible online checklists from any device with access to the corporative data network or the internet. 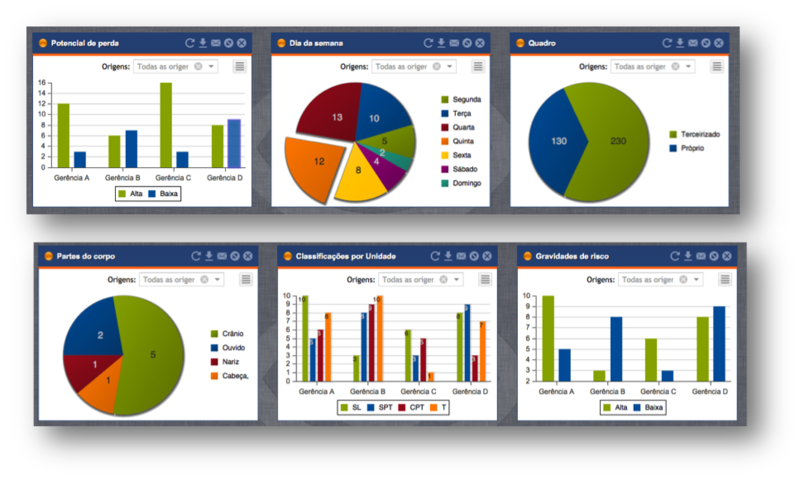 The module provides access and monitoring of the inspection routine and audits, promoting indicators and critical analyzes in real time, providing a local and/or corporative vision. 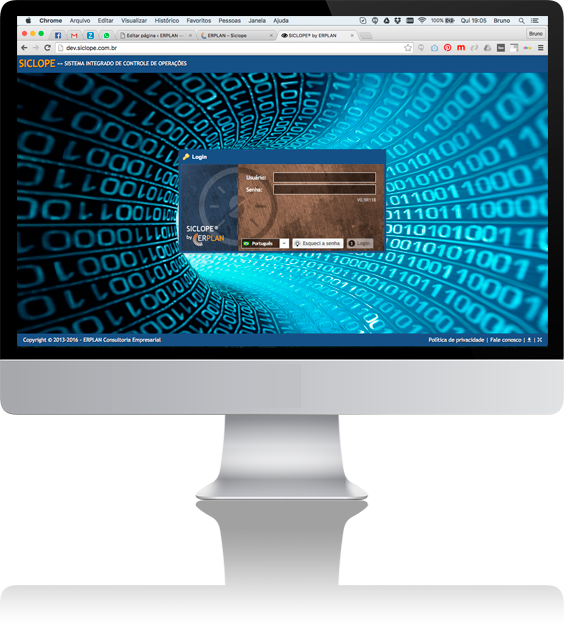 It is also possible to store evidences digitally, enabling the development and the validation plans (integrating with the plans management module). Through this integration, it is possible the monitoring of the audit plan, providing all controls for decision making in a customizable way. 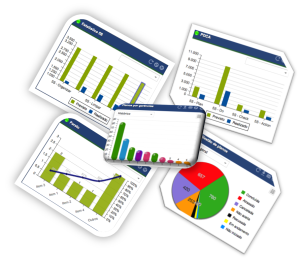 Alerts Center: Automatic reports Issued with critical analysis. The SASSMAQ (Safety Assessment System, Health, Environment and Quality) provides a performance assessment in the quoted company’s areas that provide services to the chemical industry. Independent certification bodies accredited by ABIQUIM (Associação Brasileira da Indústria Química) make the evaluation of these. Translation into a language that is able to bring to the manager’s hand– even if not technical – a managerial view of the entire process. Version assurance, ie, occurring any revision in the manual, you simply need to make the change in SICLOPE and all businesses, customers and users will already have their checklists evaluation instantly updated. Guarantee the effective calculation without error possibilities, since the SICLOPE will block these possibilities as the rule described in SASSMAQ manual. Less QUANTITATIVE time and more Qualitative time preparing critical analyses after an inspection and auditing. This module allows you to manage all wastes, controlling its output with the release of the MTR (Waste Transport Manifest) and direct interaction between generator, transporter and receiver. The third part intermediates module provides the company with lower physical documentation volume, treating the information digitally and significantly optimizing validation, approval and audit. Thus, sharing the responsibility to control and legal documentation with the contractors, ensuring secure, legal and responsible access to the company’s facilities. In addition, it provides real-time useful management information for decision making. Besides the contractor’s vision, SICLOPE also provides information to the contracted companies and critical analysis for interaction and continuous improvement of its processes, as well as ensuring compliance with their tax obligations, labor and social security. Technical staff optimization (quantitative time decrease and qualitative time increase). The Documents Management module ensures the control of documentary information, internal rules and/or operational procedures within the healthcare process, safety, environment and all the SGI (Integrated Management System), ensuring the release, evidence control, management, procedures shipping and internal rules. We will be happy to make a presentation (In person or on-line) for your company.